Bank Note / loans / What's a Working Capital Loan? Working capital loans are a tool that small businesses can use to manage their cash flows. They help to cover your cash needs when you're making money but your accounts payable due dates don't line up with when your accounts receivables will be coming in. Because the purpose of these loans is different from other types of loans, the application process is often different as well. Working capital loans are used for normal operations rather than big purchases. In accounting terms, working capital means your current assets minus your current liabilities. Current assets includes things like cash, accounts receivable, and inventory. Current liabilities includes things like payroll or vendor invoices that you need to pay within the next year. The problem that many small businesses face is that even when their current assets are greater than their current liabilities, they may not have the cash they need to meet their current obligations. For example, if the only things on your balance sheet are $500,000 in accounts receivable and $250,000 in upcoming payroll obligations, you have $250,000 in working capital. However, if your payroll is due in seven days and your accounts receivable aren't due for another three weeks, you have a cash flow problem. The solution is to take out a working capital loan. A working capital loan lets you use your accounts receivable and other non-cash working capital to take out a loan when you need to send cash out before it comes in. How Are Working Capital Loans Different Than Other Loans? The difference between working capital loans and other loans is that working capital loans are backed by your current assets. Loans for capital acquisitions such as equipment are generally backed by non-current assets. General obligation loans that provide growth capital in general rather than being tied to a specific purpose are generally backed by a combination of non-current assets and current and expected profits. What this means is that a bank will focus on different things when approving each type of loan. Working capital loan: Current assets and recent bank deposits that show an ability to repay the loan in full within the coming weeks. Acquisition loan: Value of the assets to be acquired in relation to the loan amount plus cash flows high enough to support ongoing monthly payments. General obligation loan: Profitability, expected future profitability, assets in relation to debt, and cash flow. A working capital loan can either be secured or unsecured. A secured loan is a loan backed by a specific asset that the lender can take if you don't repay the loan. An unsecured loan only gives the lender a general right to collect the amount owed. Secured working capital loans are backed by your accounts receivable. The lender may obtain rights to specific invoices or to your accounts receivable in general. In many cases, the lender will ask you to link your payment processor or deposit account so that the lender can automatically withdraw loan payments. Unsecured working capital loans often carry higher interest rates because not having anything securing the loan means additional risk for the lender. 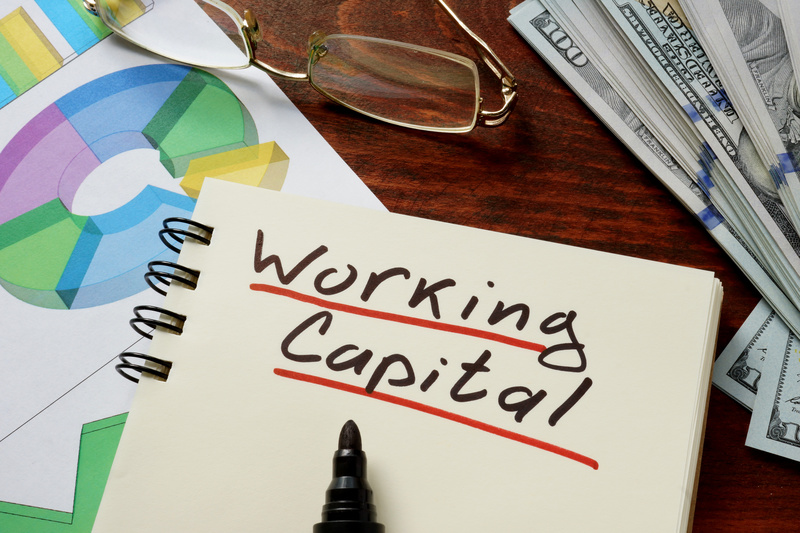 How Do You Get a Working Capital Loan? There are several options to obtain a working capital loan. Some small businesses simply choose to carry their expenses on a small business credit card or line of credit as a substitute for an actual working capital loan. For businesses with larger spending needs, asset-based working capital lending comes in several forms. This includes loans backed by your assets, loans backed specifically by your receivables, and factoring (selling your receivables at a discount in exchange for immediate cash). To learn more about your options, call us now or schedule an appointment with a loan advisor.